We started out with enough options to fill an entire aisle at your friendly neighborhood supplement store: 289 varieties of tablets, capsules, gummies, chewables, and liquids. Our goal was to find which ones were the safest and most effective to take. 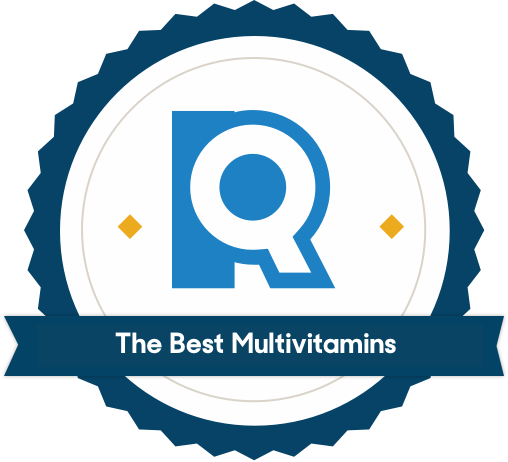 We found the best multivitamins have independent certifications for label accuracy and purity, plus a well-rounded formula that hits the majority of FDA-recommended ingredients. Food-derived or synthetic? The choice is yours — science says they're both effective, but you’ll pay several times more for food-based vitamins. If you’re consuming a tablet or capsule every day, you’d better know exactly what’s in it and how much. Unlike pharmaceuticals, supplements aren’t submitted for FDA testing and approval before they go to market. The FDA does require that manufacturers disclose all supplement ingredients and detail the amounts per serving — unless it’s classified as a “proprietary blend.” In that case, the manufacturer doesn’t have to disclose anything besides a list of ingredients and the total amount in the bottle (you won’t see suggested daily values here). NSF and USP (both nonprofit organizations) test supplements at the request of manufacturers, then lend stamps of approval to verified products’ packaging. Labdoor and ConsumerLab, both for-profit companies, seek out products to test without consent from manufacturers. (Manufacturers can request tests from ConsumerLab as well). We looked for formulas that limited their use of artificial sweeteners, including sucralose, dextrose, maltodextrin, xylitol, glucose syrup, aspartame, and high fructose corn syrup. These ingredients don’t make your vitamin more nutritious; most of them just make it sweeter. We also wanted to avoid partially hydrogenated oils, artificial colorants, fillers, and binders (like titanium dioxide, carmine, benzoic acid, butylated hydroxytoluene, PEG 3350, talc, and magnesium silicate). We turned to the FDA’s dietary guidelines to gauge vitamin consumption. Out of the 27 nutrients the body needs, the FDA states that American adults are most likely to be at risk of not consuming enough calcium, potassium, or magnesium — as well as vitamins A, C, and E.
Although we searched, very few multivitamins contain significant amounts of everything. “Multis don’t typically contain 100% of what you need, as the pill would just be too large,” Sharon Palmer, a registered dietitian nutritionist and author of Plant-Powered for Life, told us — and in fact, we even had trouble finding a good option that included all those key “at-risk” nutrients, particularly potassium and calcium. A quick word on multivitamins for men and women. 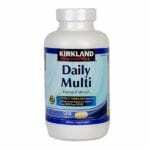 The nutrients in these multivitamins are sourced from real foods using transparent practices. One big reason these multivitamins went to the top of our list: In an industry filled with misdirection and misinformation, MegaFood is a beacon of transparency. Its supplements are certified GMP (Good Manufacturing Practices) with NSF International, which assures “the product produced has the identity, strength, composition, quality, and purity that it is represented to possess,” and MegaFood adheres to ISO 9001 standards, meaning its labs comply with the highest standards of quality assurance and testing. Its certifications alone are more than enough to stand out from the crowd, but it doesn’t stop there. MegaFood provides links to the farmers who supply the food it derives nutrients from. It’s certified vegan, gluten-free, and non-GMO. It’s herb- and pesticide-free. And its New Hampshire facilities even have an extensive network of cameras so you can personally watch its lab employees in action. The company is so keen to show what it’s all about, it coined its own slogan: Big T Transparency. The transparency won big points with us — not just for being different than other multivitamins, but because it means we know exactly what’s in these vitamins — the ingredients and where they came from. There is one clear downside to MegaFood multivitamins: They’ll cost you. MegaFood’s transparency and food-based ingredients make for a more expensive multivitamin compared to most other options. If those two factors are important to you, you won’t find a better multivitamin. 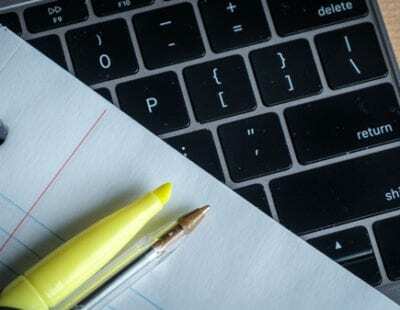 But more affordable options are available, without sacrificing quality. Formulated for men — notably, there’s no calcium, iron, or magnesium. The MegaFood Multi for Men supplements have the same basic benefits and drawbacks as the Women's One formula: They're certified GMP (Good Manufacturing Practices) with NSF International and adhere to ISO 9001 standards, which speaks to the integrity of the lab and testing processes. Such quality extends beyond the product and testing and into the company’s overall standards — its New Hampshire facilities even have cameras so consumers can witness its lab employees at work. MegaFood calls these practices Big T Transparency — evidence that the company has nothing to hide. MegaFood uses three natural ingredients bind the tablets together: plant cellulose, vegetable lubricant, and the chemical compound silica (sand). All of the nutrients in the vitamins come exclusively from fruits, vegetables, and grains — the vitamin A within is extracted from carrots; the vitamin C comes from organic oranges; and the vitamin K was once inside a cabbage. 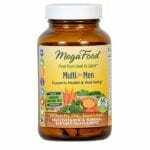 As a multivitamin for men, specifically, the formula purposely excludes calcium, iron, and magnesium: MegaFood’s website states that “It’s not recommended for men to supplement their diet with iron or calcium unless otherwise recommended and under the supervision of a qualified healthcare practitioner.” However, a note at the bottom of the page reveals that the particular statement has not been vetted by the FDA. We suggest speaking with your doctor first to find out what supplements you need — and those you should avoid. Differences between the men’s and women’s blends? There are slight variations in some nutrient levels, and the women’s blend contains a suite of 16 herbal additives, including nettle leaf and dandelion root. 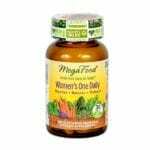 More notably, the women’s multivitamin contains 9 milligrams of iron, since premenopausal women need more iron than men or post menopausal women — however, the women’s only lacks potassium, and the men’s contains a negligible amount. Finally, the women’s multivitamin requires just one tablet per day, but the men’s requires two. All that transparency and real-food ingredients comes at a significant cost: These MegaFood vitamins cost you a pretty penny at $0.96 per serving. You’re paying more to get your ingredients straight from real foods, but our experts say the research favoring food-based ingredients over synthetic ones isn’t there. But if having vitamins made from whole foods is important to you, you can’t get any better than MegaFoods. A great blend of nutrients and third-party certifications, at only 2 cents per serving. If you’re just looking for a non-gendered, adult multivitamin, you can’t get a much better bargain than the synthetic Kirkland Signature Daily Multi from Costco. It contains all 27 wishlist nutrients, though it only has 80 milligrams of potassium — about 2% of the recommended daily value. Unlike MegaFood, the nutrients in these multivitamins are synthetic, meaning they’re created in a lab instead of extracted from a carrot or a head of broccoli. (This may make some people squeamish, but there’s no evidence that synthetics are better or worse than naturally-sourced vitamins). Unlike the MegaFood Multi for Men, Kirkland’s 500-count bottle gives you a decent amount for what you pay. Each tablet costs 2 cents, and you’re getting all 27 key nutrients in each (plus calcium, which MegaFood lacks), so we consider this a win-win scenario. However, the tradeoff is that you may be getting a little more or less of any one nutrient — but still within safe levels. Although it received a relatively high score from Labdoor (66 out of 100), there are a few red flags for label claim variance. The worst offense was folic acid levels at 31% above the label claim. This isn’t a dangerous level, but it does show some inconsistencies in formulation. Another caveat: This vitamin contains 18 milligrams of iron. That’s 100% of the RDA for premenopausal women, but exceeds the 8 milligram RDA for postmenopausal women and men. The National Institute of Health guidelines point out that an 18 milligram dosage is common in multivitamins, but warn against acute intakes of more than 20 milligrams. If you have an iron-heavy diet (lots of beef, poultry, or beans), you might be safer with one of our other picks. A food-based, child-friendly formula from a well-regarded brand. Robin Foroutan, the registered dietician nutritionist we spoke to, recommended Rainbow Light as a “really good quality” brand. After looking through the ingredient list, we agree. Like our adult top picks, this is a food-based multivitamin. It contains kid-friendly doses of a wide range of necessary nutrients — even potassium, which is important for children and adults but absent in most formulas. What’s more, it’s free of artificial fillers or dyes. Most experts recommend that children, like adults, get their nutrients from food whenever possible. But if your kids balk at carrots and broccoli, sometimes multivitamins are the simplest way to cover diet deficiencies. The tablets themselves are crunchy and star-shaped, with a surprisingly tasty “fruit punch” flavor that comes from natural orange, cherry, and pineapple flavor. Because kids need lower doses of most nutrients than adults, however, it’s important to choose a formula specifically for children (and one they’ll actually want to eat). 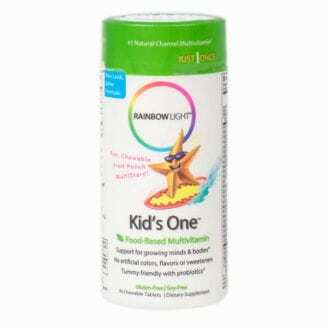 This is the one downside we found to these Rainbow Light multivitamins. You’ll find sucrose and dextrose labeled on the back of the bottle, but this comes with the territory: We couldn’t find a single children’s multivitamin that didn’t contain sweeteners of some sort. And if you want your child to willingly eat the multivitamin, it’ll probably help. An affordable synthetic vitamin formulated for the dietary needs of seniors. 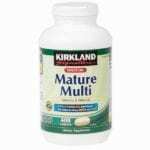 Among seniors’ multivitamins, we like Kirkland Signature Adults 50+ Mature Multi. Adults age 50 and older have slightly different nutritional needs than those in the 18-49 age bracket. Seniors tend to absorb less B12 as they age, with the Mayo Clinic recommending supplementation to maintain healthy B12 levels. The recommended amount of vitamin B12 for adults is around 2.4 micrograms per day, so Kirkland’s 25 might seem like too much — but there is no suggested cap on B12 consumption. Your body will absorb as much as it needs, and any excess will pass through urine. Seniors also typically require higher doses of vitamin D to maintain bone health. The serving size is just one pill per day, and it’s also an affordable option: A bottle of 400 pills retails for about $13, or $0.03 per dose. The Kirkland Mature Multi fared well in most categories, bringing in a solid 68.5 out of 100 on Labdoor. But the product isn’t completely free of impurities — in fact, the vitamin B-6 amount measured nearly 26% over its label claim of 3 milligrams. However, this isn’t dangerous, as the upper limit for B-6 consumption is 100 milligrams. Perhaps more important than scouring daily recommended values is keeping an eye on recommended upper limits. ConsumerLabs.com has a detailed chart that compares recommended daily values with upper limits, but in general, it’s not a good idea to consume excessive doses of any one vitamin or nutrient. Upper limits for any vitamin vary widely: More than twice the recommended amount of Vitamin A is dangerous, but you can have up to 26 times the recommended daily amount of Vitamin C without experiencing any ill effects. Catherine Price said her research shows a multivitamin probably won’t contain a dangerous amount of vitamins or minerals on its own — and none of our top picks exceed recommended upper limits for any ingredient. But she said taking a multivitamin while supplementing with other vitamins or while consuming fortified foods or beverages could lead to a “superdose” — a vitamin dosage so far over the recommended amount it can lead to problems. For kids, superdoses can be fatal. Warnings to keep multivitamins containing iron out of children’s reach are there for a reason: Accidental iron consumption is a leading cause of poisoning deaths in children younger than 6. Gummy vitamins can be especially dangerous for kids, since they resemble candy or fruit snacks. Always store multivitamins out of young children’s reach. Multivitamins aren’t miracle supplements, though. “You really cannot supplement your way out of an unhealthy diet,” says Foroutan. But Foroutan also says she sometimes advises her clients to take one, especially if their diets lack important nutrients. To help you navigate the buying process regardless of your individual nutritional needs, we’ve provided the following guide with a quick overview of different vitamins and minerals, common food sources, and the most up-to-date recommended daily values for adults (measured in international units, micrograms, milligrams, and grams). Of course, no multivitamin is going to have 100% of what you need, so your best bet is to talk to your doctor to find out what you’re lacking, and find a supplement that’s stacked in your favor. The FDA released new daily value recommendations for vitamins and minerals in July of 2016. The new guidelines increase the recommended levels of some nutrients such as calcium, vitamin C, and vitamin D. But supplement manufacturers may not have necessarily updated their formulas and labels — companies with more than $10 million in annual sales have until 2018, and those with less have until 2019. Our guide uses the latest recommended daily values. Found in meat, poultry, dairy, leafy greens, and fruits, Vitamin A is particularly important for maintaining healthy eyesight and a strong immune system. However, too much Vitamin A can lead to nausea, painful bones, and other side effects. To avoid overdose, multivitamin manufacturers generally only provide 50-80% of the recommended daily value in each serving. Also known as ascorbic acid, Vitamin C is found most commonly in citrus fruits, though smaller amounts are present in spinach, potatoes, and strawberries. Studies show that contrary to popular belief, Vitamin C does not prevent colds, but it does help the body create collagen, strengthens the immune system, and acts as an antioxidant. Because the overdose limit is so high, manufacturers usually include well over 100% of the recommended daily value. If you’re particularly concerned about supplementing Vitamin C in your diet, check out our review for the Best Vitamin C Supplement here. Vitamin D, also known as calciferol, strengthens teeth and bones by helping the body to absorb calcium. When taken in combination with calcium over the long term, Vitamin D can help prevent osteoporosis in adults. But be careful not to take more than recommended: overdose can cause nausea or dizziness. Food sources include fatty fish and fortified milk or cereals — and, of course, your body will produce Vitamin D if exposed to sunlight, but the amount produced through sunlight alone rarely meets recommended daily values. Vitamin E (AKA tocopherol) serves as an antioxidant and immune booster in the body. It can be found in a wide variety of foods, including vegetable oils and leafy greens. Deficiencies are very rare, but overdosing on Vitamin E supplements can reduce your ability to form clots while bleeding. Vitamin K (also known as menadione or phylloquinone) is important for blood clotting and maintaining strong bones. If you are taking a blood thinner, keep your vitamin K intake consistent to ensure your blood can clot properly. Food sources of Vitamin K include cabbage, liver, eggs, milk, and green vegetables. Biotin helps turn food into energy and can be found in whole grains, egg yolks, soybeans, fish, and organs. It hasn’t proved to be harmful in high doses. 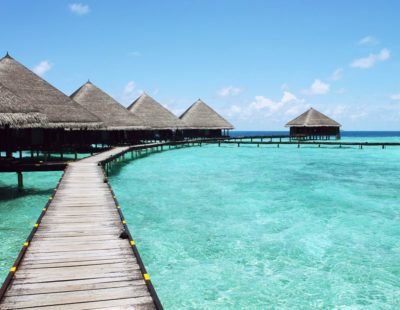 Choline helps maintain healthy nerve and brain functions, and metabolizes fats. It can be found in milk, eggs, liver, peanuts, and salmon. Also known as Vitamin B-9, folacin, and folic acid, this vitamin helps with cell creation and can be found in many foods, including grains, cereals, greens, and fruit juice. Getting enough folate is especially important for pregnant women. If you’re planning on taking prenatal supplements, consider reading our review of the best prenatal vitamins. Niacin (also known as vitamin B-3 or nicotinic acid) helps maintain digestive, skin, and nerve health. It's important for converting food to energy, and can be found in many foods, including poultry, fish, whole grains, peanuts, and legumes. Also known as vitamin B-5, pantothenic acid helps metabolize food, as well as produce hormones, cholesterol, and neurotransmitters. It’s found in a variety of foods, including chicken, whole grains, avocados, mushrooms, broccoli, and egg yolks. Riboflavin (AKA Vitamin B-2) helps metabolize food and maintain healthy skin, blood, and brain functions. It's present in a wide variety of foods, including eggs, leafy greens, enriched grains and cereals. Thiamin (also called vitamin B-1) helps convert food to energy and maintain healthy nerves, brain, muscles, hair, and skin. It can be found in soymilk, watermelons, ham, brown rice, pork chops, and acorn squash. Also called pyridoxine, pyridoxal, and pyridoxamine, Vitamin B-6 is critical in brain, immune, and metabolic functions. It's found in poultry, fish, organ meats, starchy vegetables, and non-citrus fruits. Also called cobalamin, Vitamin B-12 is especially important for nerve and blood cell creation. It can be found most commonly in meat, poultry, and fish. Vegans and vegetarians are often at risk for deficiency, and should pay attention to their vitamin B12 intake. Calcium maintains healthy bones, blood pressure, and nerve function. It can be found in many foods, especially dairy products, kale, broccoli, and Chinese cabbage. Multivitamins typically contain less than the daily recommended value for calcium because it’s a bulkier mineral. If you’re especially concerned about your calcium intake, take a look at our review for calcium supplements. Chromium helps maintain healthy blood sugar, and can be found in meat, poultry, fish, eggs, potatoes, nuts, and cheese. Copper is important for red blood cell creation and immune system health. It can be found in liver, shellfish, nuts, beans, and whole-grain foods. Copper is poisonous in large amounts, though overdosing through food or supplement sources is unlikely. Iodine is important for thyroid and metabolic function. It can be found in seafood, iodized salt, bread, and drinking water. Iron helps the body create red blood cell proteins, hormones, and tissue. It can be found in meat, poultry, seafood, and some vegetables and grains. Vegetarians and pregnant women can be at risk for iron deficient-diets. If you're concerned about your iron intake, check out our iron supplement review. Magnesium aids in nerve and muscle function, blood clotting, and strengthening bones. It can be found in green vegetables, legumes, whole-wheat bread, and milk, and yogurt. Molybdenum helps maintain nerve health and can be found in legumes, nuts, grains, and milk. Deficiencies are extremely rare. Manganese helps strengthen bones and metabolize amino acids, carbohydrates, and cholesterol. In some places, manganese is added to drinking water. People with liver damage should be especially careful not to exceed the upper limits for manganese. Foods with manganese include fish, nuts, legumes, and whole grains. Phosphorus is abundant in the body, making up 1% of your total weight. It helps maintain healthy teeth and bones, create cells, and metabolize food. It can be found in dairy products, meat, poultry, fish, eggs, green peas, broccoli, liver, potatoes, and almonds. Potassium is important in many functions, from building proteins and muscle, to maintaining a healthy heart and nervous system. It can be found in meat, milk, fruits, vegetables, grains, and legumes. People with kidney issues should avoid eating too many potassium-rich foods. Selenium acts as an antioxidant and also regulates thyroid activity. It can be found in seafood, organ meats, walnuts, and grains. Zinc helps with protein and cell creation, and maintains a healthy immune system. It can be found in red meat, poultry, oysters, beans, nuts, and fortified cereals. Vegetarians are at a higher risk for zinc deficiency. Will a multivitamin overcompensate for a lacking diet? How do I know whether I need multivitamins? Talk to your doctor. If you still suspect your diet is lacking, or if you can’t change what you eat due to dietary restrictions, meet with your doctor to discuss taking a multivitamin. He or she may order a blood test to detect nutritional deficiencies, or make recommendations about dietary modifications. If it’s a severe deficiency, your doctor will likely recommend or prescribe a supplement for whichever specific nutrients you lack. 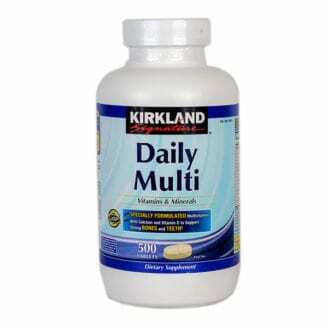 Only mild deficiencies can be fixed by a multivitamin. How do I know whether my diet is lacking? Are there any other ways to get vitamins outside of diet and supplements? Most vitamins can be found in food, but vitamin D remains a notable exception: Your body synthesizes vitamin D when ultraviolet rays from the sun hit your skin. Our picks contain vitamin D, but as always, vitamins are best absorbed from natural sources. Want to know more about dietary supplements? Looking for reviews on a specific type or brand? We’ve got you covered.